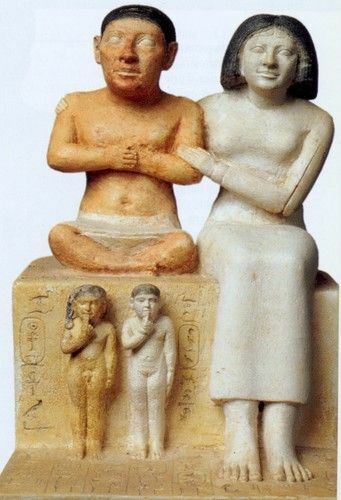 The ancient Egyptian sculptor excelled in this piece of work of the Dwarf Seneb, who was an important official, and his family. 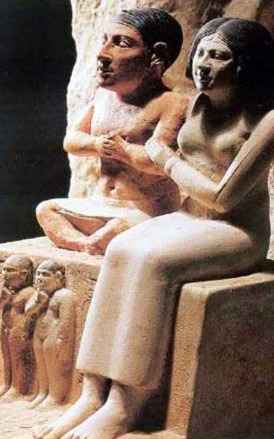 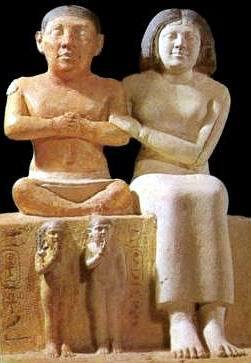 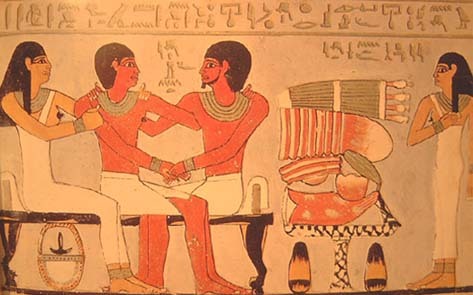 He portrayed Dwarf Seneb with his wife holding him with her right arm and their two children in the place of the dwarf’s short legs. This group is made of painted limestone and was found in Seneb’s tomb in Giza north of Chephren’s pyramid.